As chapter one ends after 10 years in Mulberry's, chapter two begins with Dulse restaurant. Dave O'Donnell is the new chef patron at Dulse. After 22 years' experience in top establishments, he is excited to bring his experience and passion to Dulse. Dulse is contemporary Irish food served in a casual, fun and relaxed environment. A native of Cobh in Co Cork, David O'Donnell’s inspiration for food comes from when he was younger, spending countless summer holidays in the west of Ireland where he learned to use what you can from land, sea, and air to combine a depth of flavour. From there he began a unique gastronomic journey working at top restaurants and resorts around the world including Knockranny House Hotel, Westport, Co Mayo; Heritage at Killenard, Portarlington, Co Loais; White Barn Inn Relais and Chateaux (Relais Gourmands Restaurant/ Mobil Five Star Restaurant/AAA Five Diamond Restaurant ), Kennebunkport, Maine, USA; Mount Juliet House Hotel, Thomastown, Co Kilkenny; Longueville House (3 AA Rosette ) Mallow, Co Cork; Dunraven Arms (3 AA Rosette ), Adare, Co Limerick; Brooklodge Hotel (organic food ) at Macreddin village, Co Wicklow; and the Michelin-star Auberge Du Piet á Terre Restaurant in Châteaumeillant du Berry, France. 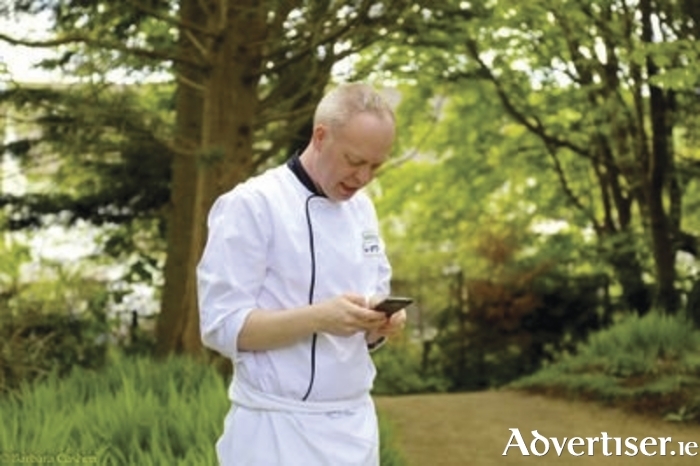 Most recently he has worked in The Ardilaun hotel, Taylor's Hill, Galway, where he achieved Yes Chef Magazine Best Chef in Connacht 2016 and is also a member of Euro-toques Ireland and Slow Food. The ethos behind Dulse is based on establishing a close relationship with some of Ireland's best artisan food producers. The cooking style is based on partnerships with locally sourced ingredients from farmers, fishermen, breeders, and providers from the Wild Atlantic Way with whom the Dulse team work to ensure the food is seasonal. A lot of research has gone into selecting only the best food producers. Dulse is planning menus a season or two ahead, working hand in glove with producers to develop ingredients tailored to menus at Dulse. Dulse will open nightly from Wednesday to Sunday with an a la carte menu, a value saver menu, and a group menu for larger parties. Dulse restaurant is now taking bookings for Christmas parties. It has partnered with a taxi company to provide a voucher for taxis for larger groups. Dulse also has a full bar licence and a great cocktail menu. A daytime café and pantry will be added in mid-October where the ethos will be the same; providing simple food based on the best Irish artisan food producers in a fun, casual, and relaxed environment. The pantry will showcase the produce of these Irish food producers as well as having a selection of ready-to-go in-house produced gourmet food. Check out Dulse menus at www.dulserestaurant.com or call 091 592123 for bookings.